Another card this week! 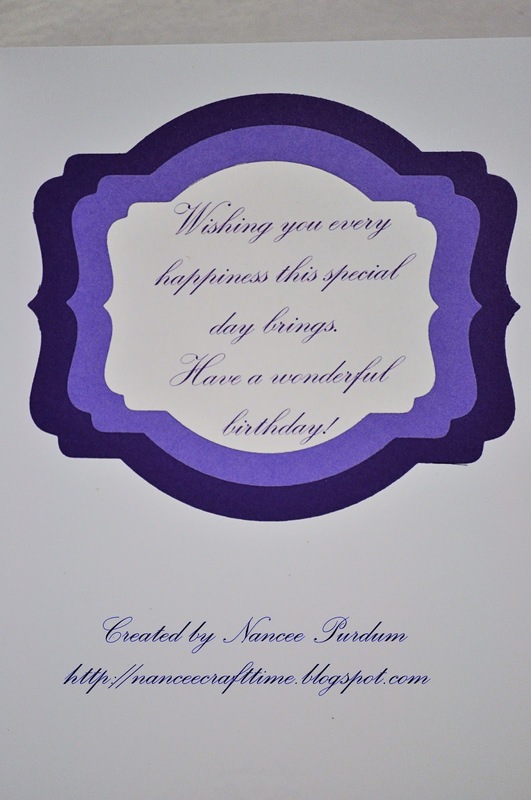 This time, I made a simple birthday card using a couple of different Stampin Up stamps. I decided to make this one a birthday card. I stamped the floral image first and then colored it. I again used the water color paper and water color technique. I then masked the image and used Distress Ink to cover the background. The writing in the background is also a stamp from Stampin Up. Here is what I came up with this time…….. 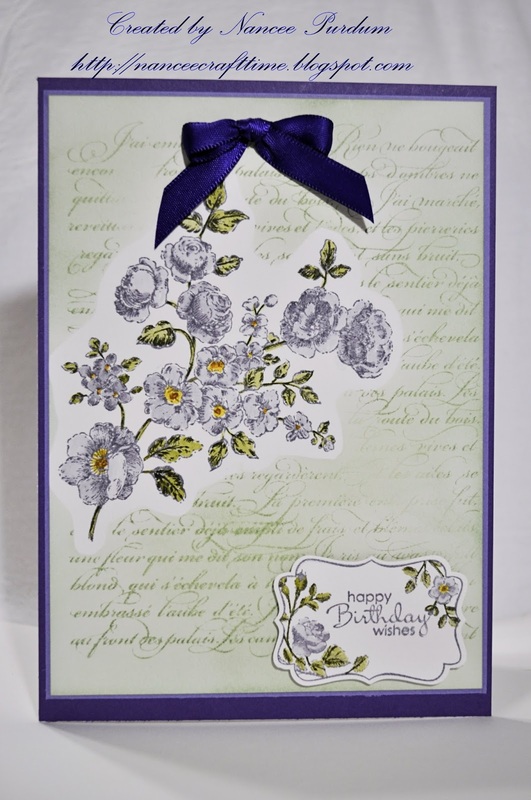 I found that one of the images from the Four Frames (Stampin Up) kind of matched the floral background, so I used it. 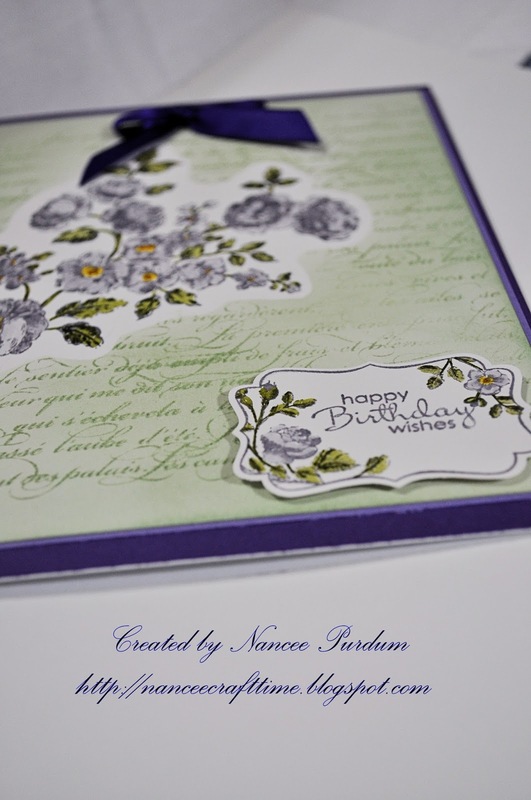 I used the matching punch from Stampin Up to punch it out. I printed my verse from the computer and used a die cut to mount the image. Outstanding work and technique Nancee!!!! Beautiful papers and I love the way you designed the flowers!!!!!! Gorgeous!!!! !